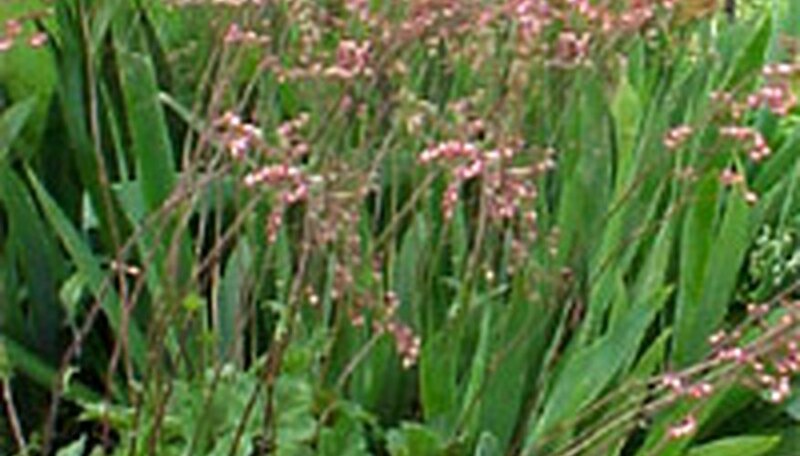 Coral bells work well as a border plant, for cut flowers or as ground cover. Garden centers carry a wide variety of perennials that begin flowering in June. Consider plant and color combinations that are high-impact, play off of one another and work well, visually, with the rest of the plants in your garden. Choose plants that have healthy-looking flowers and foliage. Avoid root-bound plants and those that appear to have been affected by insects or disease. Plant in the spring or fall, and plan to space plants at least 1 foot apart. When removing plant from its pot, loosen the root system. After placing the plant in the ground and packing the soil around it, apply mulch around the base of the plant but not on the crown of the plant. Water thoroughly and regularly,but only as needed. Remove dead foliage in early spring, and apply a thin layer of compost, followed by a thin layer of mulch, to hold in moisture and keep weeds at bay. * Water plants weekly during the summer if there is less than an inch of water. * Fertilize every 4 months with slow-release fertilizer or every few weeks with an all-purpose fertilizer. * Deadheading coral bells helps to encourage and prolong bloom time.